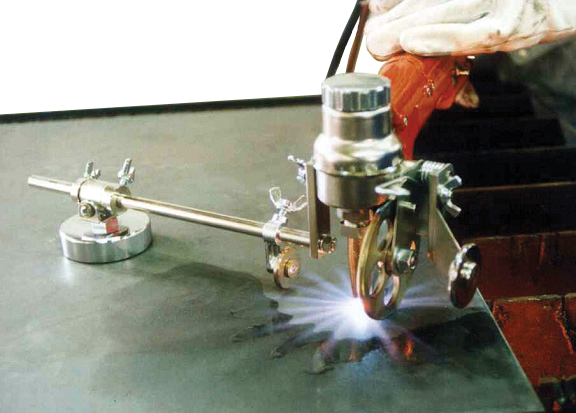 TAG’s E-Z Curve Series is a portable oxy-fuel hand held oxy-fuel cutting machine with an integrated drive system, ignition device and Start-Stop-function for pre-heating flame. It ensures highest cut quality in vertical, circular and shape cutting as well as bevelling. Besides cutting of flat surfaces it is also possible to perform curved contours on vertical surfaces like I-beams, pipes and bended plates. 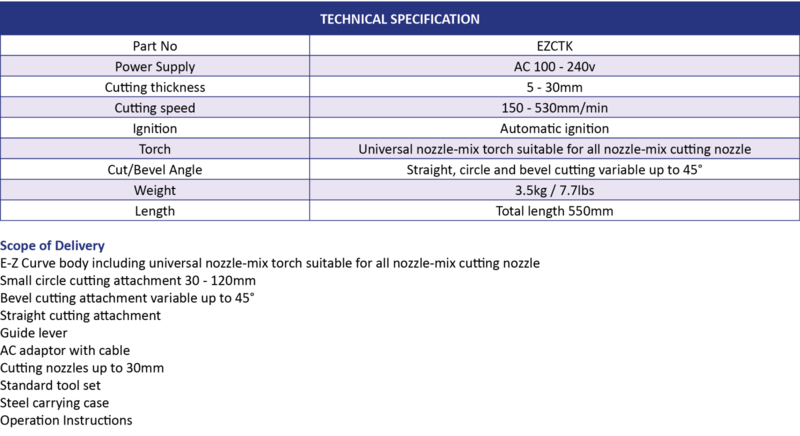 Thanks to the low weight of 3.5kg E-Z Curve Series can be used as simple as an ordinary hand cutting torch. TAG’s E-Z Curve Series comes with auto ignition, one click gas shut off, flame pre-set valves. 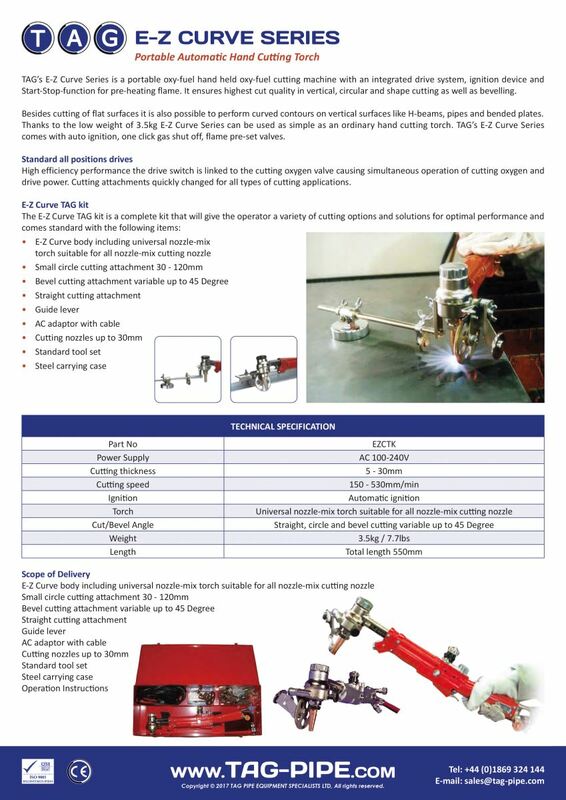 High efficiency performance the drive switch is linked to the cutting oxygen valve causing simultaneous operation of cutting oxygen and drive power. Cutting attachments quickly changed for all types of cutting applications.